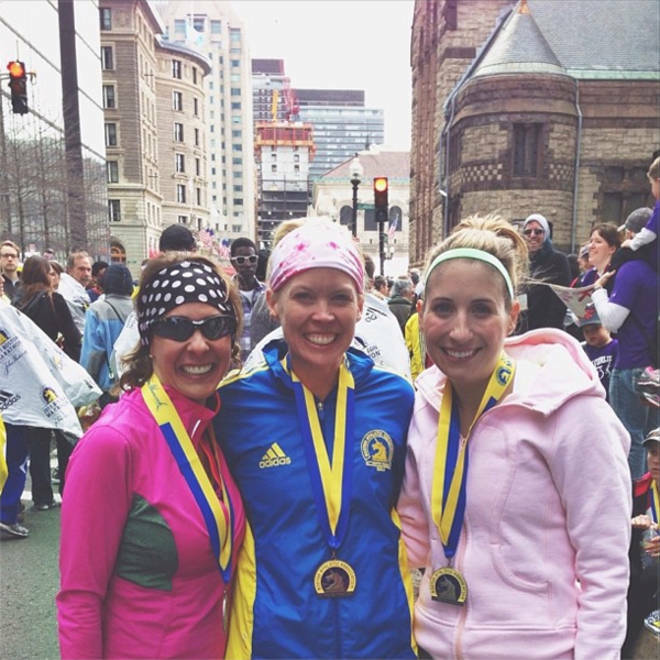 Ali Hatfield, right, poses with friends Stacy Scalfaro, wearing blue, and Diana Stauffer after completing the Boston Marathon, just minutes before two bomb blasts put an end to the celebrations. As runners and their loved ones fled bomb blasts that tore apart the finish of the Boston Marathon on Monday, many were taken in by locals who offered them shelter, food and a comforting hand. Ali Hatfield, who traveled from Kansas City with two friends to run in the race, said she was touched when a mother brought her daughter out to offer help as the trio and their families wandered the streets of Boston’s Back Bay, unable to return to their hotel. “I’m bringing my daughter her out here because I want her to see that there (is) good in people and I don’t want her to be scared,” she recalled the woman as saying. Many other runners and family members found themselves in the lurch after the twin bombings, with no obvious place to take shelter when Police Commissioner Edward Davis urged people in the area not to gather in large groups and to move inside. Or so, it seemed. Word quickly spread on social media with the hashtag twitter #Bostonhelp. Some Good Samaritans offered their homes, couches, cots and sleeping bags, while others, such as a local restaurant, offered free food, access to phones and a place to get together with other stunned racegoers. Lissa Riley, a 27-year-old doctoral student in neuroscience at the Boston University School of Medicine, said her offer of a place to stay, was just a "drop in the bucket." Hatfield, 26, said she and her friends crossed the finish line while holding hands about 15 minutes before the blasts. They briefly returned to their hotel but were soon asked to leave as authorities evacuated the area. Instead, they found themselves walking aimlessly with dozens of other runners who were still wearing race bibs and the look of “pure exhaustion” common to marathoners. But it wasn’t long before they were welcomed by residents, who poured out of their homes to offer a hand, said Hatfield. Hatfield and her friends, Diana Stauffer, 41, and Stacy Scalfaro, 39, eventually were invited into the home of a 60-year-old widower, who served them cheese and crackers and beers as they watched news reports on the attack. It was several hours before they could return to their hotel. 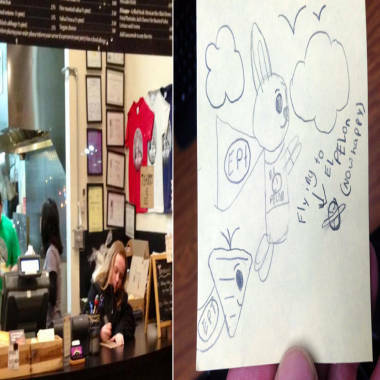 Also helping visitors and stranded locals nearby was Jim Hoben, 45, and his El Pelon Taqueria staff. They handed out water, soda and watermelon juice to the runners as well as anything they wanted off the menu, provided phone charging stations and let those without cellphones make calls from their phones. Addison Hoben, 9, left, drew pictures on to-bags in an effort to cheer up shaken racegoers. Hoben, who said he received lots of support from the community that enabled him to reopen his restaurant in 2011 after a fire some two years earlier, said he saw an opportunity to make a payment in kind. He called all his employees in and put out the word that El Pelon was now a refuge for anyone who needed a place to shelter. After a busy afternoon and evening , Hoben headed out late Monday night to buy thank you burgers for his staff. Investigators ask: Lone-wolf bomber or organized terrorism?